Living, learning and loving! Plan of attack and random thoughts on the process - Living, learning and loving! Okay, so the next sensible thing is to research the way that has worked for everyone else so far. 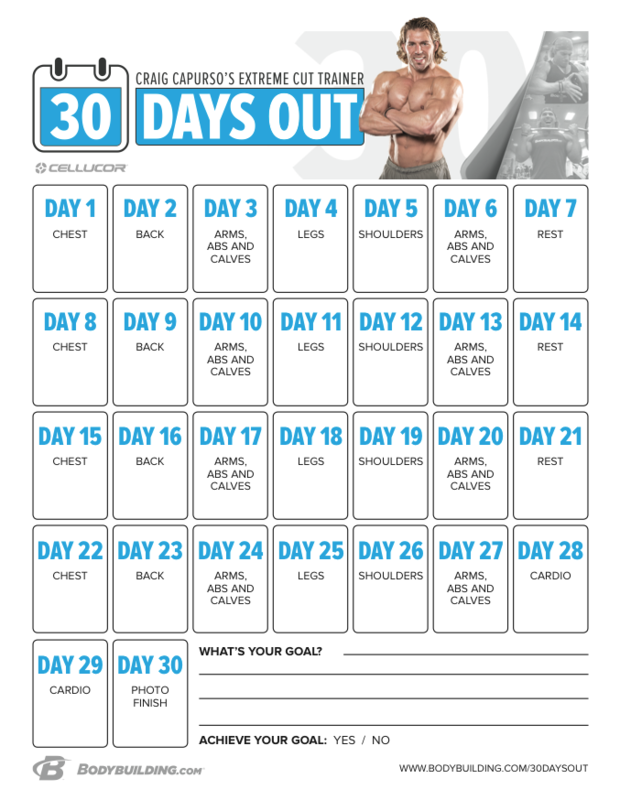 Bodybuilding.com has some great advice and workout plans, I will be using a 30 day plan from Craig Capurso to kickstart the process. He says its only 30 days and I like the idea that its concise and planned for this amount of days, this gives me a nice short term goal. My goals are simple: in these 30 days, first step is to look good in clothes. If I can lose enough to accomplish this goal it will be all I aspire for in 30 days, and will be happy, mission accomplished. After that, the next 30-60 days have to be enough to have a flat belly. Not a 6-pack, or abs showing, just flat. In this whole time, I will also be exercising for the endomorph body type which I seem to belong to, which includes a couple sessions of muscle hypertrophy. I’ll be tacking the 5×5 routine, wherever my back permits.